Please email press (at) hypermiler.co.uk if you have a news article, press release or any other information you feel our readers would enjoy and find useful. Hi, I have BMW X3 06 reg ( 2006 ). I’m having problem with dpf filter, I love my X3 car,but don’t what i need to do to solve this problem. I have warranty which expires soon, it was four time in garage to be fix and still same problem.I do sort drives. Can i remove the filter from my car? No removing the filter from your car is illegal. If it is the DPF getting blocked that is the problem, then i would recommend looking into some additives to help reduce the temperature for the regeneration. Hi I can have your DPF and EGR cleared with out removal in around an hour no chemicals involved, where are you based ?. When you stop the car at home, if the fan is running and your next journey is not going to be a long one, restart the car and run it for five minutes or so, at about 2500 rpm until the fan stops running. ( The fan runs to cool down the particulate filter which has started the cleaning process) this will finish off the cleaning process. If the management light comes on due to the filter blocking, run the vehicle at 3000 rpm, either in second gear, or stationary until the light goes out. My 80 year old mother is having problems with the garage following her car having been in for the emissions fix. The car became sluggish and would not accelerate. Having limped to the garage they say the EGR valve needs replacing and the engine has to be dropped to do it at a cost of £1,600. Can you give us some advice on how to tackle the garage and this whole problem please. Very sorry to hear you’re having issues after the fix. The first thing I would do is speak to Audi / VW / Skoda / SEAT customer care and explain the issues you are having. The many comments on the site suggest that they hold the key to getting the work covered as “good will”. If the car is lower mileage and has a FSH this will help your case. From what we have seen £1600 is a ridiculous amount of money, I suspect that they are trying to take advantage of your mother as we have not seen such high amounts being quoted. I’d be happy to speak to the garage to gather some more information regarding your issues. I suspect that they would prefer not to have the publicity, what ever the case it would make a great article showing that the VAG group are dropping to new lows, trying to take advantage of elderly drivers. Feel free to email me direct on karl (at) hypermiler.co.uk if you need to. My seat leon was the same took it back to the garage for assesment and they replaced the EGR valve free of charge. My Golf TDI went in for the emissions fix and the warning lights came on as I left the garage . I have been back twice to the garage and they insist that it is all a big coincidence and that I need a new EGR valve cost £750. I have just read the articles on your website and I am so happy to see that VAG are refunding people with the same problem. Thankyou as I felt all along that it must have been a problem with the fix. Wish me luck as I go back to the garage for the third time!!! It’s actually funny how brazen VW are being with the fixes. They must see the warning lights straight after the fix and then claim that its not related. Its disgusting that they would even try it on. Do not accept any bills for the fix. Had emission update done on my superb in October 16 after Xmas it kept faulting an going into limp mode Had diagnostic and EGR valve was faulty. Long story short. Went to dealer got 90% contribution had new EGR cooler and all glow plugs replaced by Skoda. Hi Karl. I own a Audi A3 1.6 diesel and recently had the ECU update done. After driving my car for the very first time since the update, it broke down. Audi collected it, and after a few days decided to replace the ECU. After this, while they were testing the new ECU, injector one failed. Audi have said that the break down and failure to the injector have nothing to do with the update. Please advise how I should move forward. They still have my car (2 months later) and they keep saying everything that happens is a coincidence. Any help is much appreciated!! It’s sounds like your dealership is taking you for a ride. They are sitting on the car as they replacement EGR valves are on an 8 week back order. I would ring Audi customer services on 0800699888 and explain the situation. They should resolve the issue as good will and get your vehicle back ASAP. If needs be point them in the direction of this article and other peoples experiences. It is not a coincidence. I have an Audi A4 which had the emission fix done whilst in for it’s service. I was travelling from my home in Inverness, almost a year later ,through the Yorkshire Dales whilst on holiday. Of course the car goes into limp mode and would not reset. By shear chance there was a local mechanic who had the VAG diagnostic tools available and he diagnosed the issue with EGR valve. 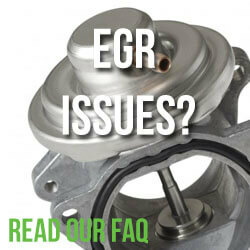 He sourced a new EGR valve and replaced it and rectified the problem. I contacted Audi and they have washed their hands of the issue as I did not use an Audi dealership. I have had the letter to take my car in for its emissions testing then my EGR light came on and the dealership suggested I get this sorted before I have the emissions done. So I took my car in had it serviced and MOT, there were no problems found. I have booked my car back in for Friday but last Friday my EGR light is on and the pump light is not on, my car has lost power too. What shall I do ? I’ve booked my car into my local garage to fix it tomorrow or do I need to go to the dealer and question this? Hi I bought a used VW GOLF TDI 2012 in October last year- not from a VW dealership. The diagnosis from the machine is P0403- EGR circuit, CTRL circuit malfunction. I don’t think the dealership ( Available Cars) is going to repair this for me can I go to VW with this? If not how much is the cost likely to be. Many thanks for any help you can give. I have a seat 1.6 tdi. Have had no problems up to know, if dpf light came on ,just took it for a run to regenerate. Now warning lights are on but not the dpf, were first told it was the egr valve. Decided to have a re map, but they told us the code was the dpf sensor?? Went back to the garage, who said it was unusual for these sensors to go on our car, and the cost would be £440/500. But he could not guarantee this would solve the problem. I am so confused. We are going on a long journey in 3 days time, and he said to give it a good run on the motorway, but then to think of changing to a petrol car?! I haver ordered some dpf cleaner to try and help regeneration although the light is not on. What should I do? Just found your excellent web site and have a question. My Golf Plus has been updated with the Emissions “fix” approx 2 months ago and in the last 3 weeks has developed intermittent loss of power issues, accompanied by various warning light combinations appearing. I’m about to take it back to the dealer armed with the background information you present on your site. I wondered if “upgrades/fixes” issued and completed by the original manufacturer are covered by any legislation such as the Consumer Rights Act. If yes, then is there some legal aspect to make VW accountable? I had emissions recall done last Monday I have since noticed low power and today it is over heating and fan coming on after short journey. I have had no previous issues with my car I am convinced it is due to the emissions fix and when I googled it I was devastated by what I have found. I will be in contect with the dealer in the morning but I don’t want to get into a long or costly battle with them I just want my car running as it was. Can you help if I get negative response from the dealer that carried out the repair. I have a seat ibiza 1.2 diesel. The engine management light came on after the emmissons were apparently fixed at recall. The wanted to charge me £750 to replace the EGR valve. I had to pay £81 for diagnostic check. I disputed this and called seat headquarters. After several weeks of phone calls. They paid the whole cost of the repair. I had my skoda yeti emissions done a few months ago,the light stays on and the car is sluggish,been in touch with garage doesn’t seem to be doing much about it,what do I do. Karl, I have recently suffered a failure of the DFP system on my 2007 Volvo S40. The Volvo quote is €1152 plus labour and tax because they say the filter needs replacing and the fluid reservoir is broken and also need to be replaced. I have looked on line and can find filters and fluid at much less but can’t find a replacement reservoir. Could you point me in a direction that might be fruitful please. Due to a servicing error, my VW Golf had a replacement engine fitted at 29,000 miles at the end of 2016. In Aug ’17 the car was recalled for EMU and also fully serviced by VW. On 11.3.18 the No 1 injector failed, less than 18 months old and less than 16,000 miles with new engine. Should this be under warranty ? Have emailed VW and will let you know the outcome. I have to thank this thread. I am the owner of a Tiguan which has had the fix some 18 months ago. My Tiguan is a 2012 plate, until recently I have had no issues. Over the past few months I noticed that the heater plugs warning light was flashing the car went into limp mode. I visited my local garage who indicated EGR value the fault cleared how ever came back so I booked it with my local garage last week quote of £600 ish. The day before I came across this thread and called my VW dealer who referred me to VW UK spoke to a very nice young mama Brandon who raised an issue my local dealer took the car in Friday and gave me a courtesy car. Call Monday EGR replaced £1140 which they covered and car ready no charged. 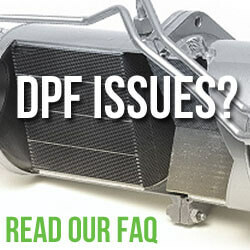 I hope you can help – I have a dpf issue with a 2011 Nissan Qashqai+2 1.5 dci ntec. The garage is telling me it’s the dpf and it needs replacing, along with a sensor, oil change etc. They have quoted me £1800. I asked about taking the dpf out and cleaning it and they have quoted £500+VAT labour for this + the sensor and said there are no guarantees the cleaning will work. I am over a barrel either way – we have definitely been using the car in a more urban driving style and knew nothing about the dpf before this. We didn’t get a warning light at all. I am a used car dealer and bought a 2012 Yeti 4×4 with only 9800 miles on the clock. The vehicle has a full Skoda Service history with the emission update done on the 21/11/2016 (8800 miles). We did not drive it far and when it sold it did its first major trip of 200 miles where the glow light came on and went in limp home mode. The vehicle is in the Skoda garage Aberdeen where they are looking for a £1200 fix and replacement EGR. The emissions warranty is 24 months 160000 and we are just 20 days outside the perimeters but dealer refusing to budge.